The municipality consists of the three districts Partschins, Rabland and Töll and is situated idyllically at the foot of the mountains of the Texel Group, only a few kilometres from Meran on the border to Vinschgau. In spring, the region is a huge sea of white flowers due to the countless fruit trees – and in autumn a colourful apple orchard. 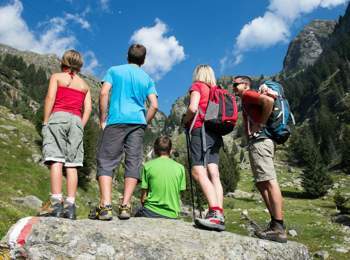 Partschins is the gate to Texel Group Nature Park, which is a hiking paradise with unlimited possibilities: 240 km of marked paths with wonderful panoramas invite you to walk through the bottom of the valley or to make longer hikes through alpine meadows and challenging alpine tours. 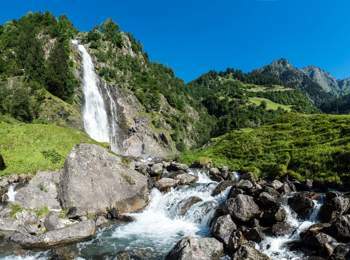 The waterfall of Partschins and the natural landscape surrounding Partschins, Rabland and Töll are good both for the body and the soul. In collaboration with hiking guides, climatic therapists, health psychologists, wellness trainers and doctors, there was created the project “Gsund bleibm! Salute! 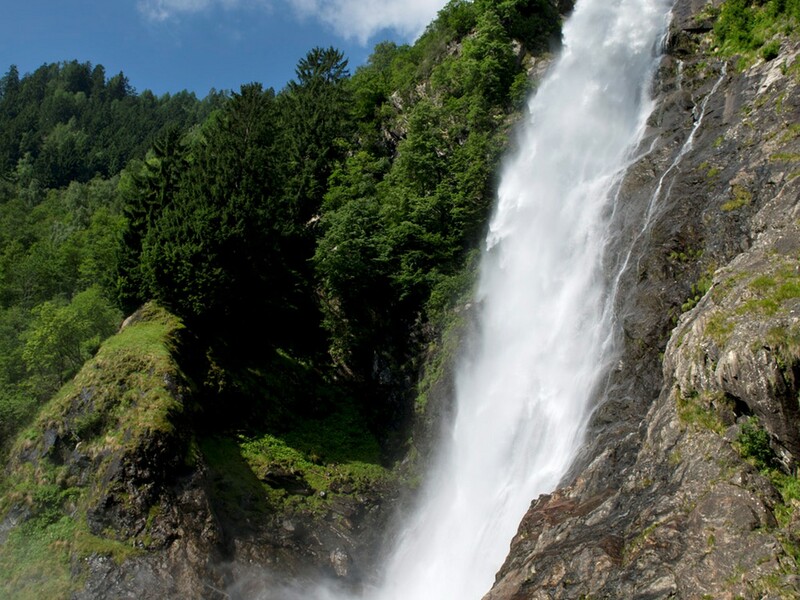 Take care”, in order to allow visitors experience the soothing effect of Partschins waterfall and nature with all senses. There is a varied programme for everybody who wants to recharge some energy and increase their well-being, including: apple excursions, forest bathing, climatic therapies, night-time walks to the waterfall, herb hikes along old irrigation channels and nutrition coaching. The history of Partschins, Rabland and Töll has started about 2,000 years ago. This is attested for example by the replica of a Roman milestone, which once marked the route “Via Claudia Augusta”. Learn more about the history of the region in the historical alleys of the village, on the “legend path” or in the typewriter museum. Peter Mitterhofer – the inventor of the typewriter – is the most famous sons of Partschins. Adrenaline junkies will love rafting on Etsch river and abseiling at Partschins waterfall, climbing in the climbing parks or tandem flights. 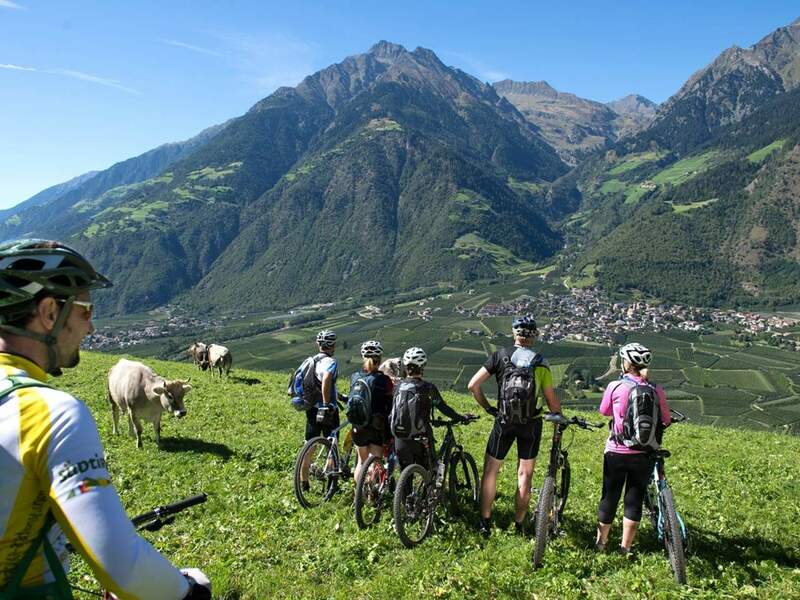 Also, bike tours are very popular: Discover the valley on Etschtal cycle path or discover the panoramic MTB trails on Mt. Nörder. 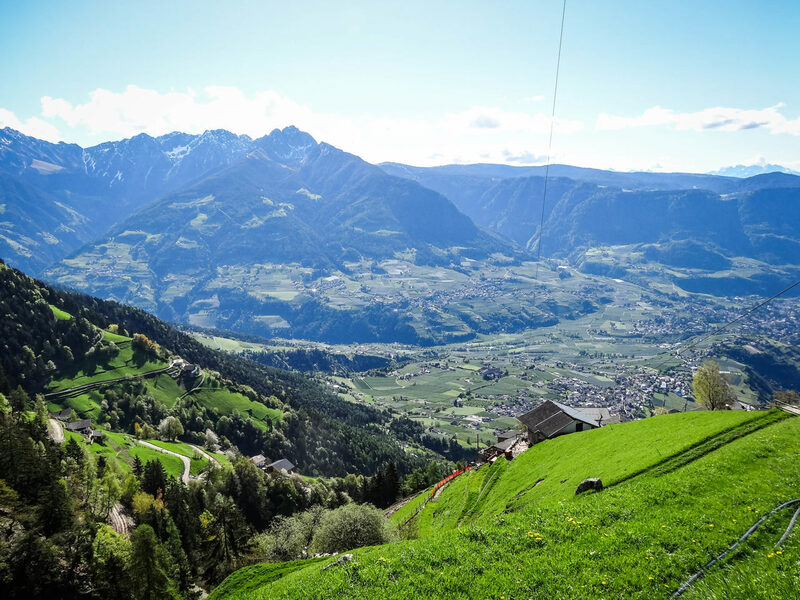 What ever you prefer: Partschins, Rabland and Töll offer many interesting holiday activities as well as a large variety of hospitable accommodations.